Involved numerous types of racing all over the world, from road racing to auto cross, drag racing and oval track, Taylor Race Engineering (TRE) provides custom racing driveline equipment, service, and solutions to the open wheel sports car and vintage motorsport industries. Even Bonneville land speed record cars have Taylor Race Engineering products and Taylor Race Engineering built gearboxes and differentials. And we would be happy to support your racing needs too! The objective at Taylor Race Engineering is to offer exceptional service and support alongside high quality auto parts from the best of manufacturers at competitive yet affordable prices, all while providing competent consulting to meet our client's needs. All components from the engine crankshaft to the wheel are within our field of expertise. 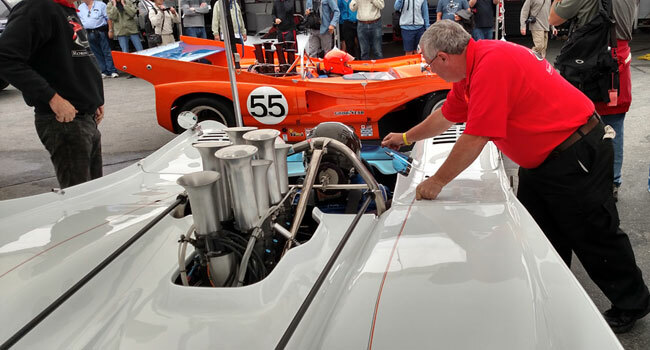 Leading the industry with countless track records and championships since the beginning, Taylor Race has supported and sponsored SCCA, SVRA, SV2, FSAE, Pro Mazda, Formula Mazda and VRL racing series. With mobile track side support and technicians traveling abroad, TRE covers over 20,000 miles a year supporting our customers to make sure the stay on the track. Taylor Race Engineering was founded in 1975 by Craig Taylor. The company incorporated in 1991 and quickly acquired distributorships for Tilton, Quaife, Hewland, Staffs, Jerico, Red Line, GKN and Lobro. Today, a number of proprietary products are manufactured by or for TRE, including specialized tooling, clutch release systems, lightweight aluminum differentials, and a number of Quaife differentials made to our specifications. In 2001 we started working with Formula SAE, a student design competition organized by SAE International, with five teams. We are now currently suppling 320+ teams all across the world with products made by TRE. Currently with eight employees, Taylor Race Engineering continues to search for, find and develop new products needed by the racing community. Contact us to discuss your racing needs and we’ll keep you winning at the track too.